Booming interest in development sites has reshaped the Gold Coast commercial market in 2017, with total sales for the first nine months of the year exceeding the same period in 2016 by more than $100 million, reports The Urban Developer. The report is based on Ray White’s Between the Lines Gold Coast 3Q Transaction Report, which reveals nearly 300 transactions during the first nine months of 2017 generated total sales of $693.76 million. This figure compares with $558.84 million from only 105 sales in the first nine months of 2016. While it was hotel sales that dominated the Gold Coast market in 2016, Ray White Commercial’s Steven King says it’s development sites that have spurred sales this year. “The major change in the investment profile between 2017 and 2016 is the greater move back to development site sales, which now account for close to a quarter of all sales this year compared to just 6.10 per cent last year,” said Mr King. The majority of the sales came during a dramatic uplift in investor interest between July and September, with more than $417 million worth of deals done in the third quarter of the year, says realcommercial.com.au. Retail sales accounted for $167.78 million of those deals, while office transactions totalled $144.03 million. Ray White Commercial head of research Vanessa Rader says the quiet start to the year is the result of owners opting to hold onto their assets, while the recent flurry of activity and rapidly shrinking yields has spurred many into action. “This (Q3 result) is up 53.35% on Q3 2016, where $272.03 million sold and again an improvement on the Q3 2015 result of $153.21 million,” Rader says. 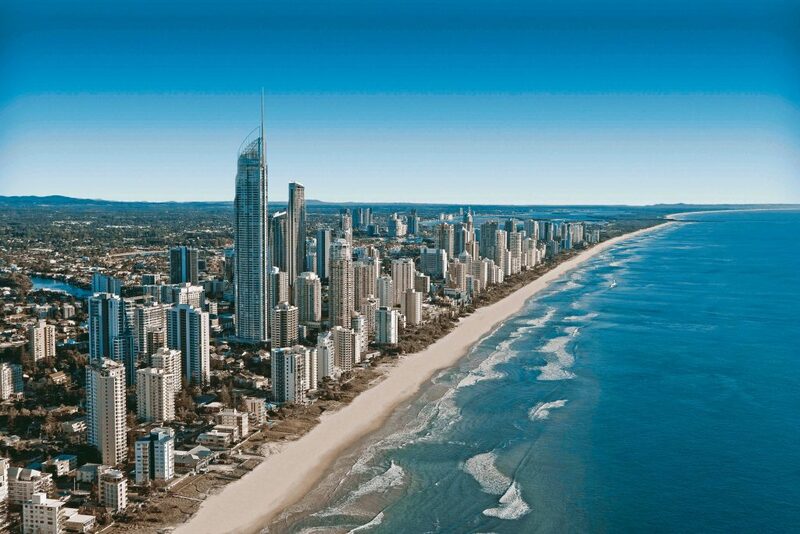 Ms Rader said office property yields have ranged between 6.50 per cent and 9.50 per cent, further highlighting the confidence in the location as buyers who may have been priced out of more prime locations move up the risk curve and consider the Gold Coast. Meanwhile, the AFR reports that UBS Asset Management and Grocon have completed the Parklands project on the Gold Coast, where more than 1,200 dwellings will form the Commonwealth Games athletes village next year. After the Games, the village will become one of the nation’s first large-scale institutional-grade multi-family projects, with homes rented to long-term tenants. The Parklands project incorporates seven hectares of residential and retail precincts and seven hectares of parklands and open space. In total the village will hold 1,252 dwellings—one and two-bedroom apartments and three-bedroom townhouses—and will be home to 6,600 athletes and officials next year. UBS Asset Management’s Real Estate & Private Markets business manages investments of around $US92 billion globally, making it one of the largest asset managers in real assets worldwide.